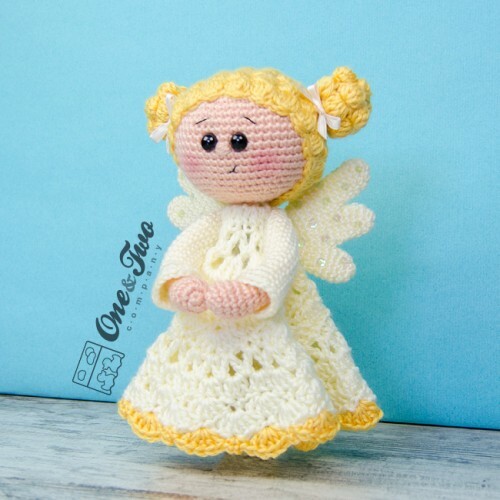 Meet Annie the Angel, the newest member of the One and Two Company family. 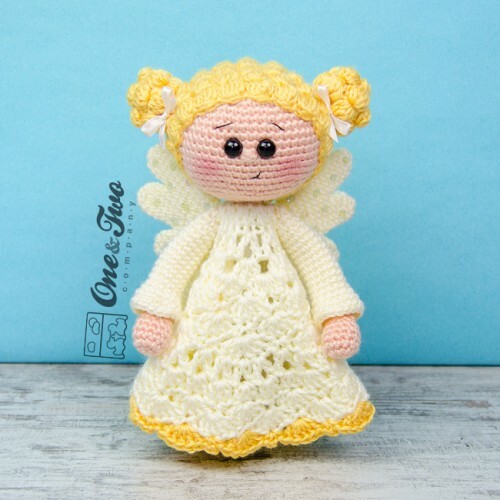 Annie is a sweet little cherub who loves watching over her friends. She tries to be helpful, but sometimes that's so hard to do! 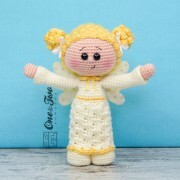 Will you help Annie stay out of trouble? 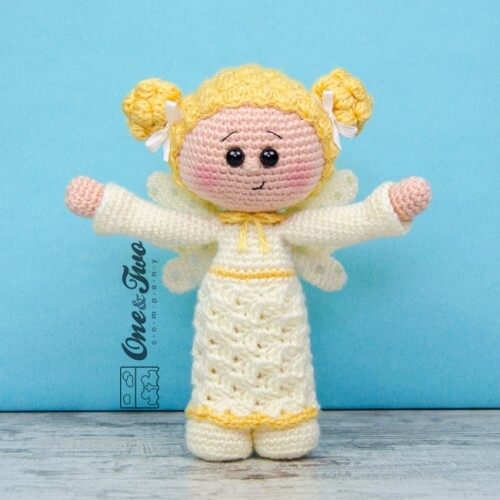 · Annie the Angel Security Blanket crochet pattern. 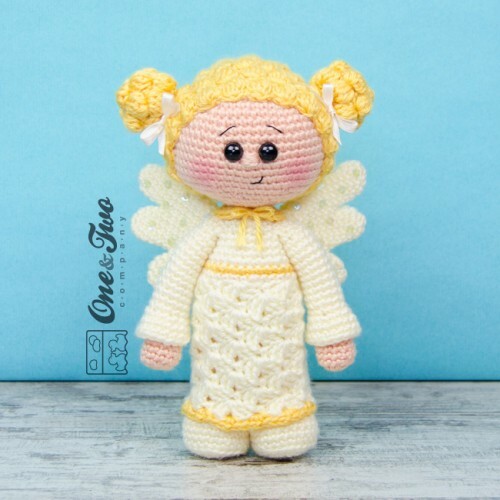 · Annie the Angel Amigurumi crochet pattern. 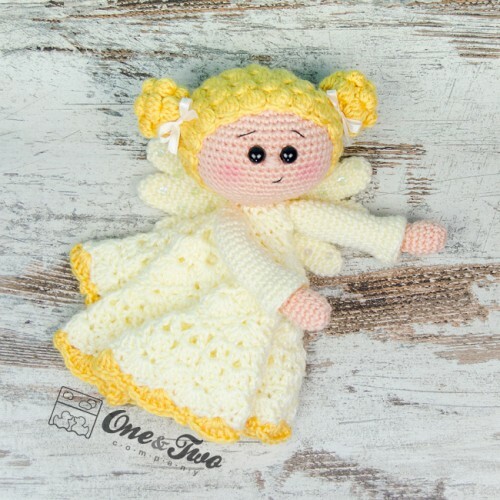 · Security Blanket Measurements (diameter): 13.5 inches approx. 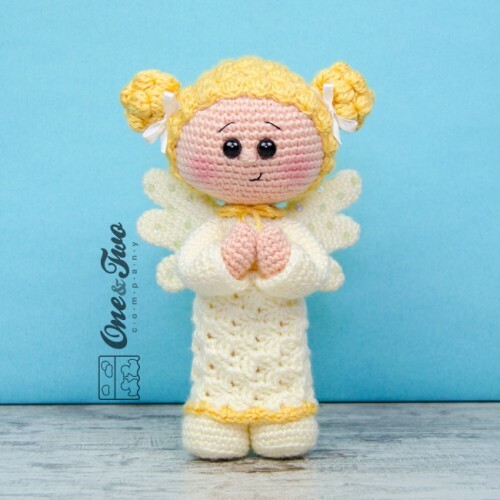 · Amigurumi Measurements: 10 inches approx.